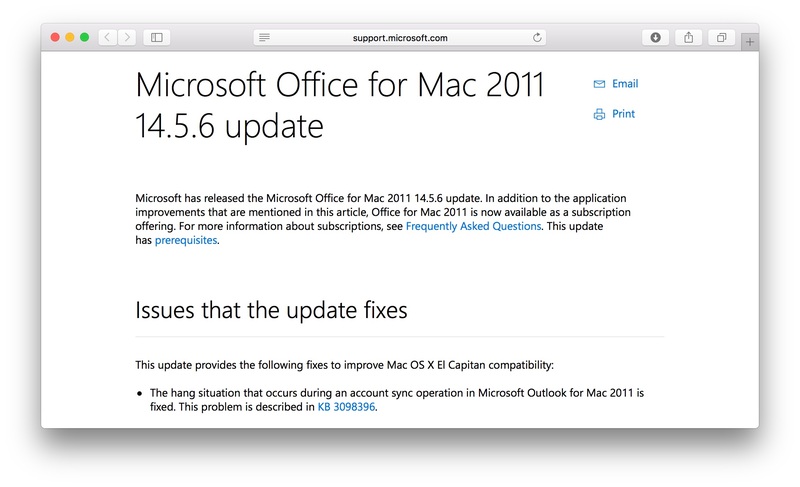 Microsoft、OS X 10.11 El CapitanでOutlook for Mac 2011がハングアップする不具合に対しアップデートを提供。 | AAPL Ch. – The hang situation that occurs during an account sync operation in Microsoft Outlook for Mac 2011 is fixed. This problem is described in KB 3098396. Please note, this fix is for Mac Outlook 2011 ONLY. 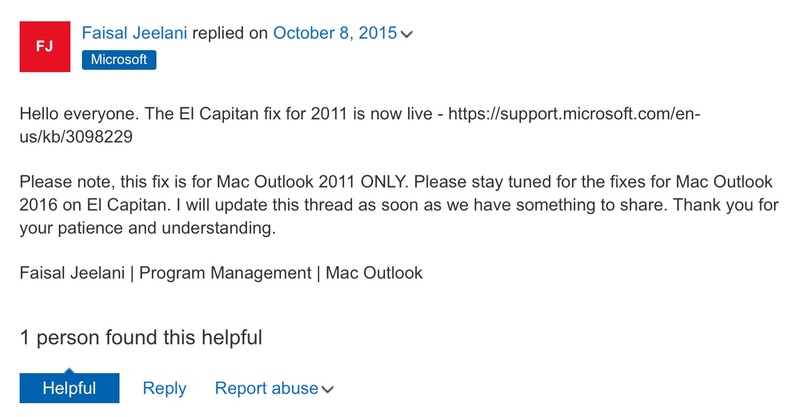 Please stay tuned for the fixes for Mac Outlook 2016 on El Capitan. I will update this thread as soon as we have something to share. Thank you for your patience and understanding.